Select Min ID Before Shrinking 0.3" 0.4" 0.8" 1.1" 1.5" 2" 3" 4.5" 6" 7"
Typical applications include: Electrical insulation - Ideal for exposed or underground applications providing good insulation, waterproofing, and mechanical protection. Also suitable for Mechanical and abrasion protection, Physical/Electrical Protection of Components, Strain Relief, and Solder Insulation. 0.3" HDT-0300 0.30" 0.10" 0.08" 0.01"
0.4" HDT-0400 0.40" 0.15" 0.09" 0.01"
0.8" HDT-0800 0.80" 0.20" 0.11" 0.01"
1.1" HDT-1100 1.10" 0.37" 0.12" 0.01"
1.5" HDT-1500 1.50" 0.50" 0.17" 0.02"
2" HDT-2000 2.00" 0.65" 0.17" 0.02"
3" HDT-3000 3.00" 1.00" 0.17" 0.02"
4.5" HDT-4500 4.50" 1.50" 0.17" 0.02"
6" HDT-6000 6.00" 1.80" 0.17" 0.02"
7" HDT-7000 7.00" 2.00" 0.17" 0.02"
3M HDT tubing is an excellent choice for mechanical and environmental protection under extreme conditions. 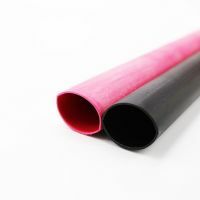 With a high dielectric strength, heavy duty adhesive lining, and high temperature resistance, 3M HDT heat shrink tubing is perfect for long term insulation and protection over long periods of time. 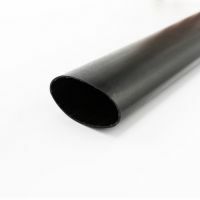 When the tubing shrinks the inner adhesive layer forms an adhesion layer between the tubing and the component or wire. 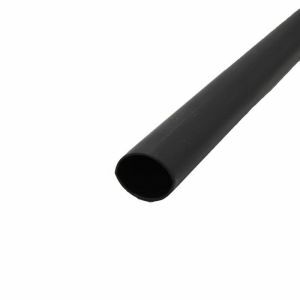 This provides a watertight seal, protecting the connector and/or wire in direct burial and submersed applications.